Nothing is better than walking into a cool home after being out in the scorching sun. On the other hand, nothing is worse than breaking into a sweat while you are trying to sleep because your air conditioner decided to die on you. Here are some tell tale signs that your AC is on its last leg which could lead to air conditioning repairs. If the air coming out of your vents is not as cold as you would like it, then there is definitely something wrong. It could also be that it takes a lot longer for your air conditioning to get the temperature you set. This could be that the air filter is clogged. If that is the case then you can fix that yourself. However, it could also be a problem with the compressor. If that is the case, then some air conditioning repairs are necessary. Weak airflow can also be a cause of a clogged air filter. Once again, you can fix this. However, if you have done so and are still experiencing the same problem it could be something only a professional can fix. Some of the air conditioning repairs could be that the fan belt needs to be replaced or there are leaky ducts that are inhibiting air flow. 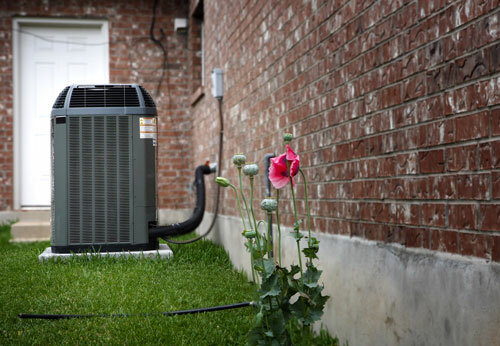 If your air conditioning is making noises that sound like it is about to enter into lift off, then it made need some upkeep from your local technician. This could be because of loose parts that are causing your ac not to work properly, thus result in the obnoxious noise. Moreover, it could be that your fan blades are dirty or that some of the parts are not efficiently lubricated, thus causing excessive noise as parts come into contact with each other. My Home Mechanical is more than able to help with any air conditioning repairs you may need. They service an abundance of cities in the Atlanta area including Suwanee, Lawrenceville, John’s Creek and Duluth. Don’t wait until your air conditioning breaks to get it fixed.